Food & Garden ’14 | It's "All in WDW"
Hey! Who Put Peppers in My Beer?! 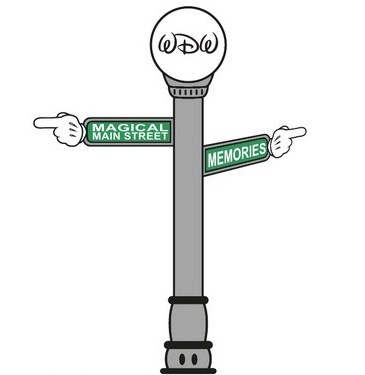 Well, I was going to head out of Epcot today, but I saw a Tweet from Dennis Conroy (@oakmanner) of the “WDW Magical Main Street Memories Podcast” that put the brakes on that plan. Yes, Mrs. All in WDW and I were that couple, and, yes, surprisingly, we did find that beer to be oddly refreshing and pretty good. Of course, that wasn’t our first impression. The flight in question included Magic Hat #9, Maduro (a darker beer from Tampa, FL), Fat Tire, and Billy’s. As we began to sample, Mrs. All in WDW asked, “Which one will I like?” Billy’s was a lighter-colored lager-looking brew. I thought that was her “ticket”. I’m still paying for that little mistake. Actually, I didn’t try to pull a “prank” on her. I’m smarter than that. I had never tried Billy’s. How was I to know it had sharp teeth? 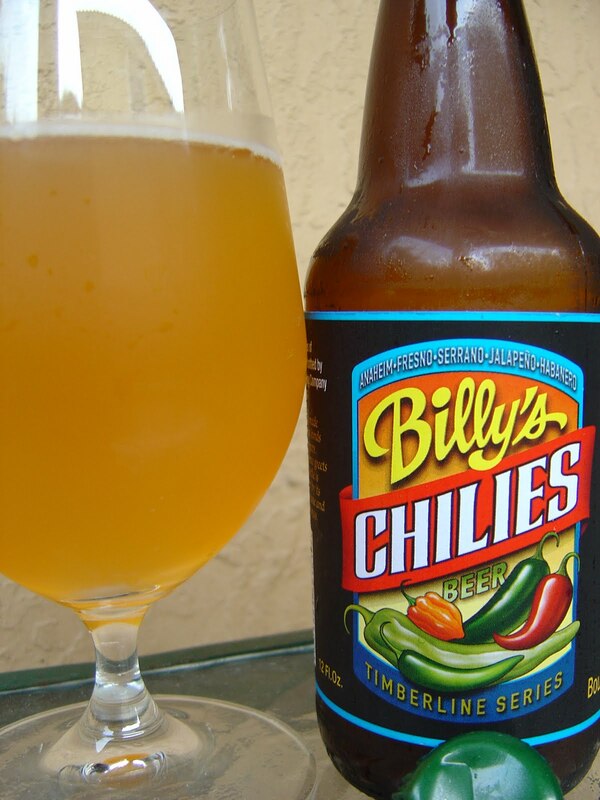 Billy’s Chilies Beer is brewed by Twisted Pine Brewing Company out of Boulder, Colorado. Doesn’t most of the world’s good beer seem to come from Colorado? Five? Yes, five. You can find Anaheim, Fresno, Habanero, Jalapeño, and Serrano peppers in that brew! And, wow, can you taste it! Not in a totally offensive way, but it’s surely there. Frankly, I’d recommend Billy’s for a hot Summer day. It provides a refreshing taste but brings a unique flavor with its big bite. The fact is, once you’ve tried it, it kind of grows on you. If pepper-filled beers aren’t your speed, however, you can still make use of its flavor. Did I mention “pranks”? Yes? Well, find the Budweiser lovers amongst your friends. Offer them a taste of Billy’s. Their surprise will be priceless. But, hey! Remember. Don’t tell them I gave you the idea! Has anyone else out there tried Billy’s Chilies Beer? Look! 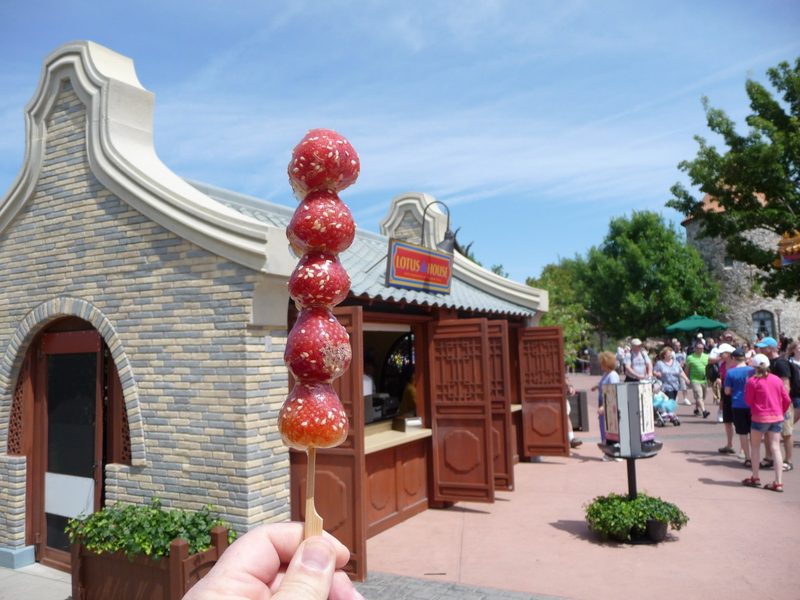 It’s a “World Showcase of Flavors”! 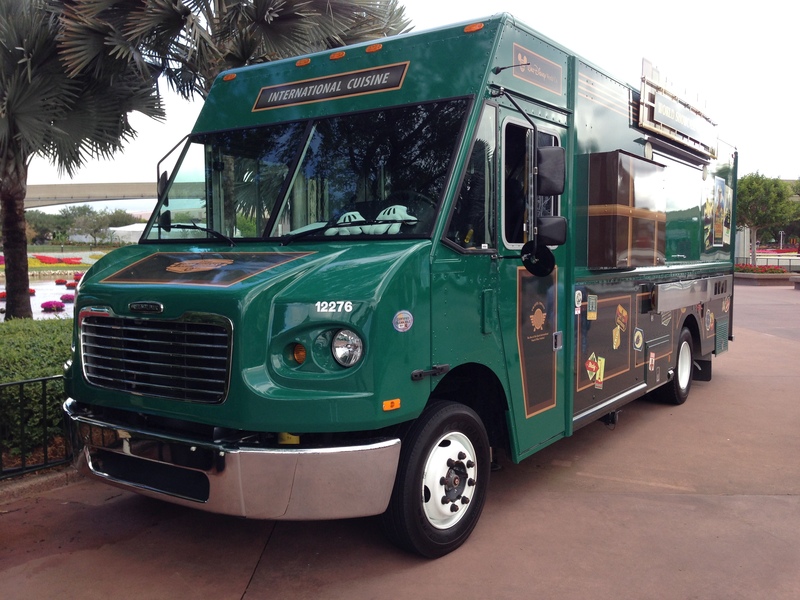 As we strolled through Epcot earlier this month, Mrs. All in WDW and I were stunned to find a food truck staged right at the entry to World Showcase. Uh, aren’t you a bit lost, truck? Aren’t you supposed to be in Downtown Disney? And, why are you here anyway? 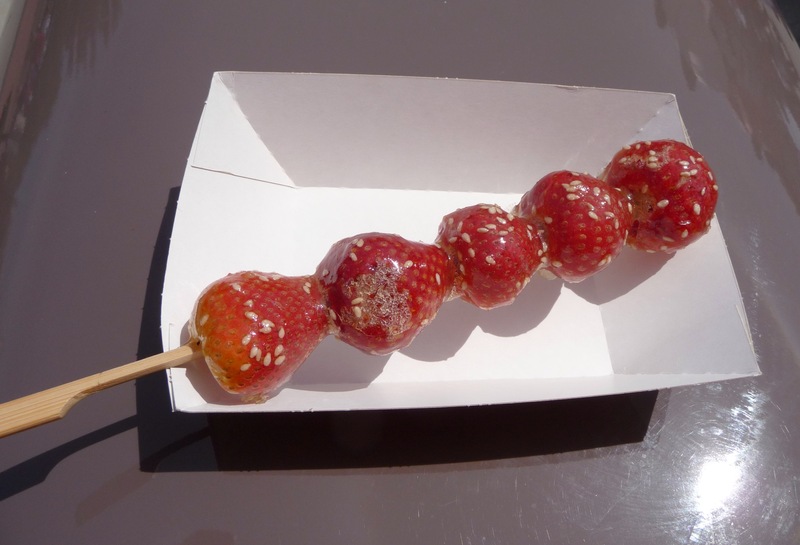 The “Food” & Garden festival is still in full throttle, after all! Our guess? Advertising. 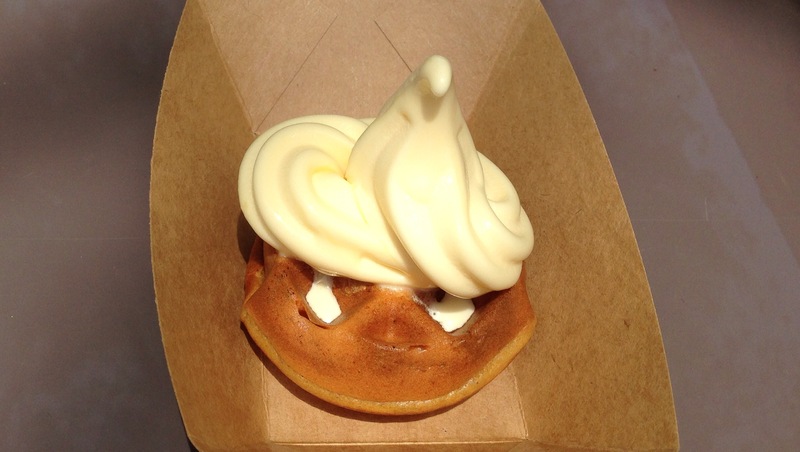 What better way to “pub” World Showcase of Flavors than to have it do a bit of business right in the area of WDW that gives it a reason to exist? 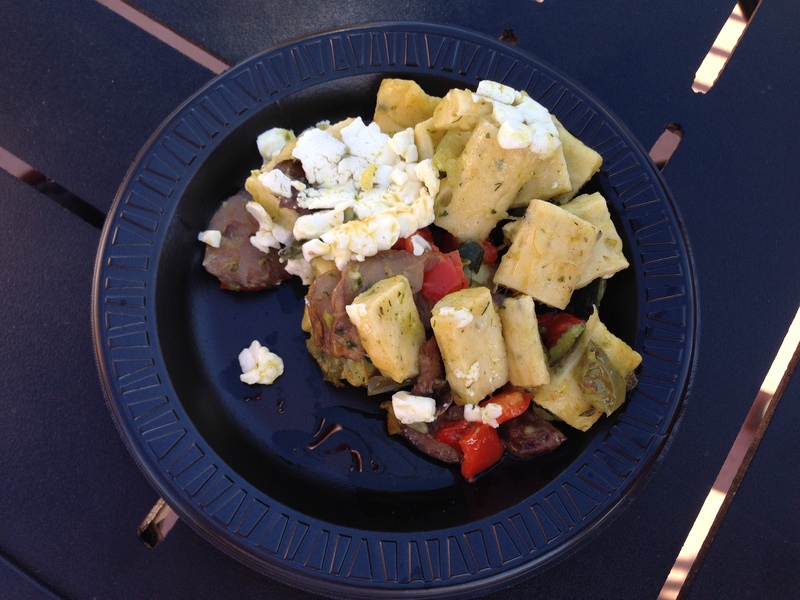 Well, whether that, or some other reason, we were there to sample a bit more of our “Food” & Garden favorites. Therefore, we passed the truck by this time. Besides, it wasn’t open at the time we wandered by. Having said that, we did stop to take a few pictures. What do you think of the prices? We thought they’re a bit steep. 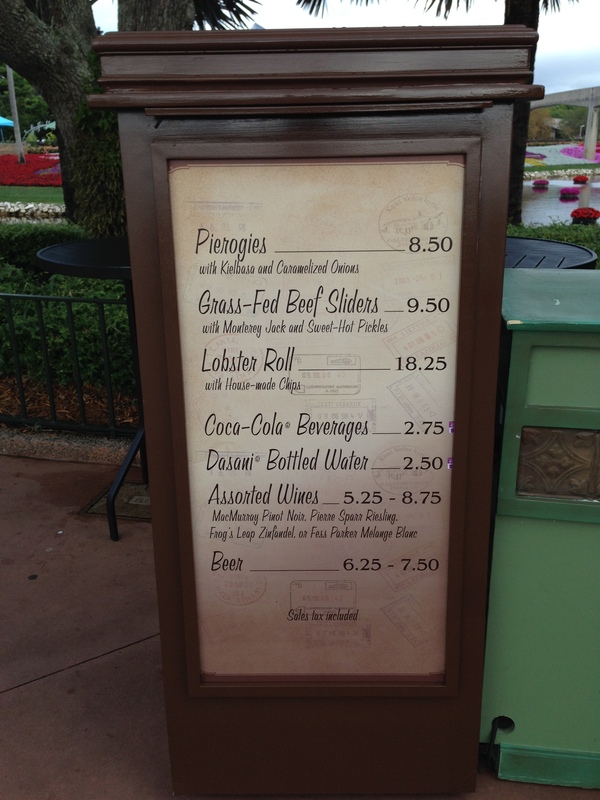 $18.25 for a Lobster Roll? Is it the WHOLE lobster? Even $9.50 is a “bundle” for Grass-Fed Beef Sliders, we thought. Do you remember them? 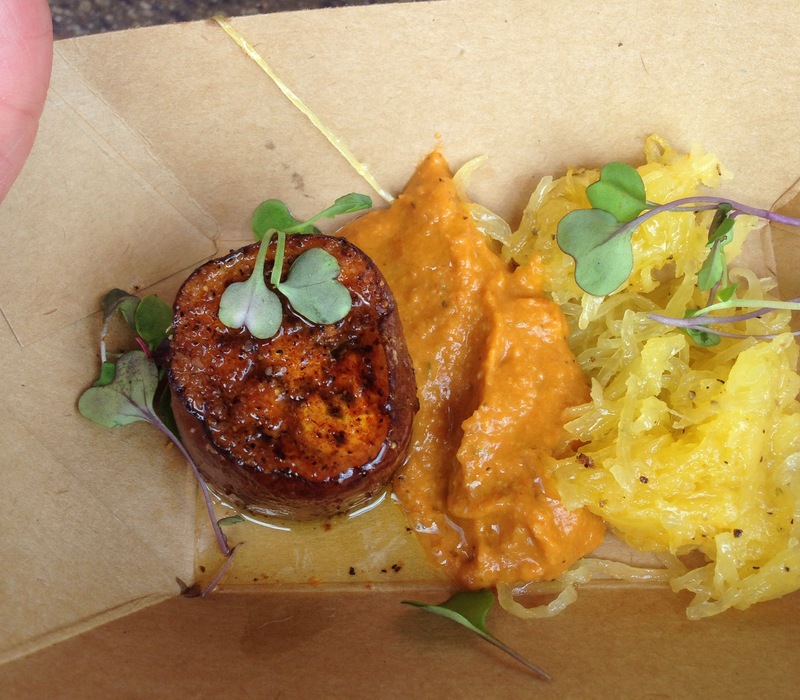 Look back at my 2013 Food & Wine Flash Report. They were dry, dry, DRY! We felt a little bit better about the prices later in the day after the truck finally opened for business. We passed by on another lap around the lagoon, and we saw that their serving of burgers included TWO sliders. Now, there was no way (without trying them, of course) to tell if those “patties” were “hockey pucks”, but I did notice that one guest had already taken a bite. It looked to be cooked to a medium heat and was slightly pink in the center. 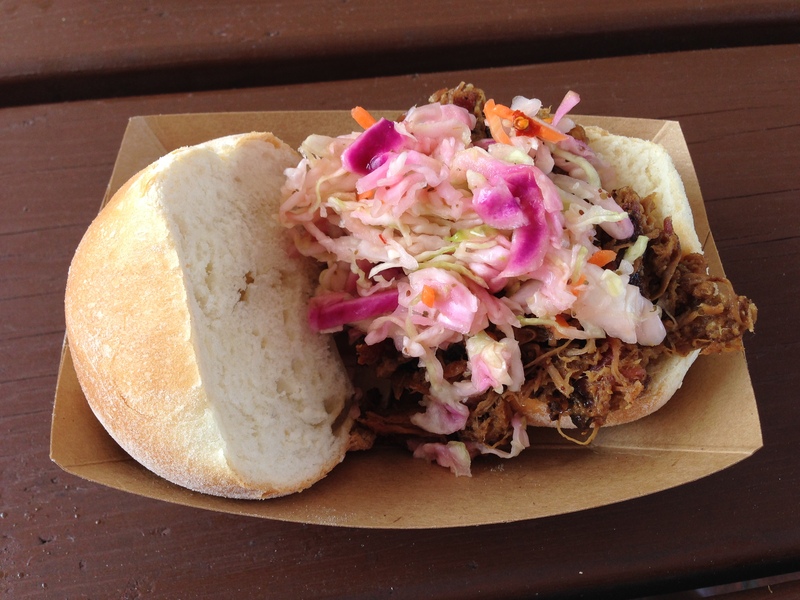 That suggested to me that Disney may be providing a bit better, moister sandwich than they did at Food & Wine. 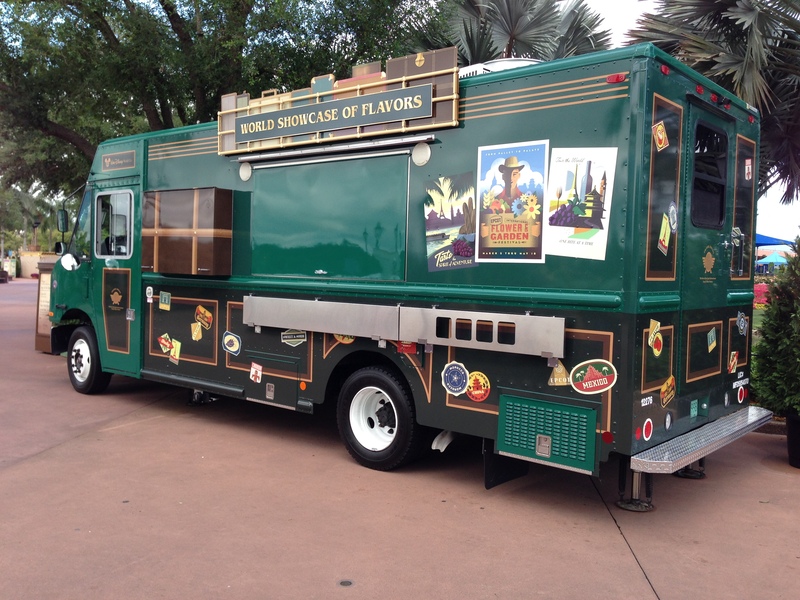 How long will the truck will be staged in Epcot? Hey, it could be gone already! My final thoughts? 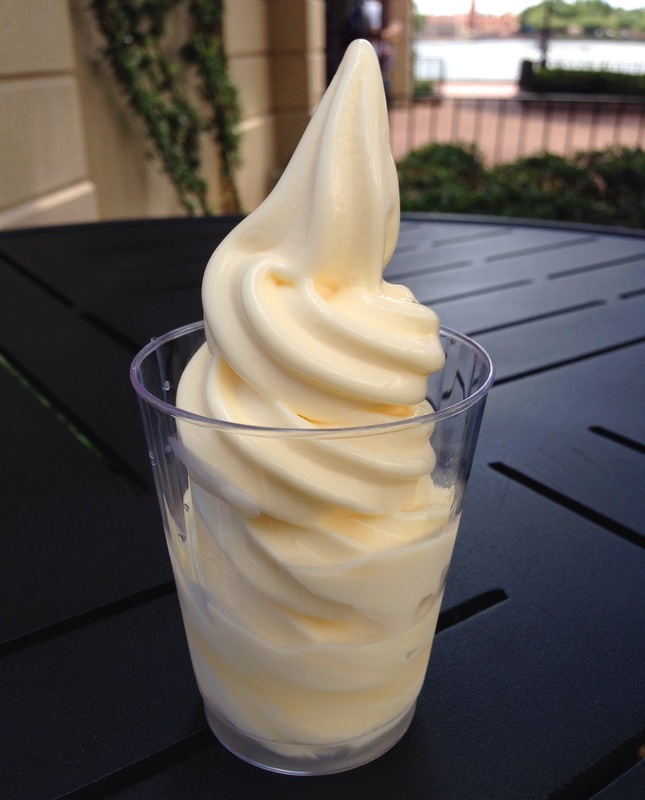 World Showcase of Flavors makes for another good Quick Service dining option … as long as the portion size and food quality they serve is worth their hefty prices! “Food” & Garden Returns – A Reader’s Report! “Food” & Garden is b-a-a-a-ck! And, why not? The festival is still steaming along. 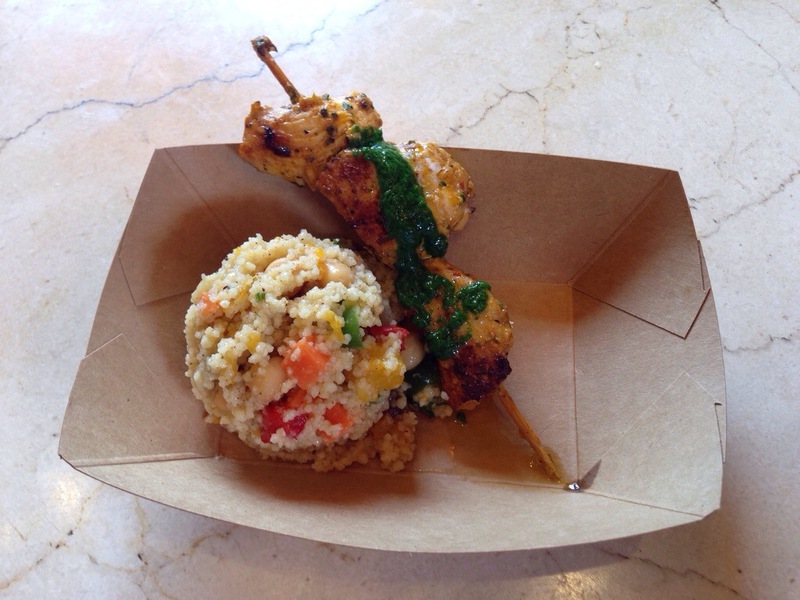 It will continue gracing Epcot’s guests with its culinary delights for another month and a half or so! I want to thank our friend on Facebook, Debbie, who recently said, “After all your postings of “Food” & Garden, I decided I needed to go!” Happy to help out, Debbie! That’s exactly why I post all of those pics! Well, “go”, she did. And, she did all of us one, or six, better. She sent us food pictures! Well, here they are … with some of Debbie’s – and some of my – comments. Bon appetit, folks! Bob: I had it, yes, but I definitely was not a fan of the Land-grown Eggplant “Scallop”. Bob: Now, this is a great picture of a super great-tasting dish! 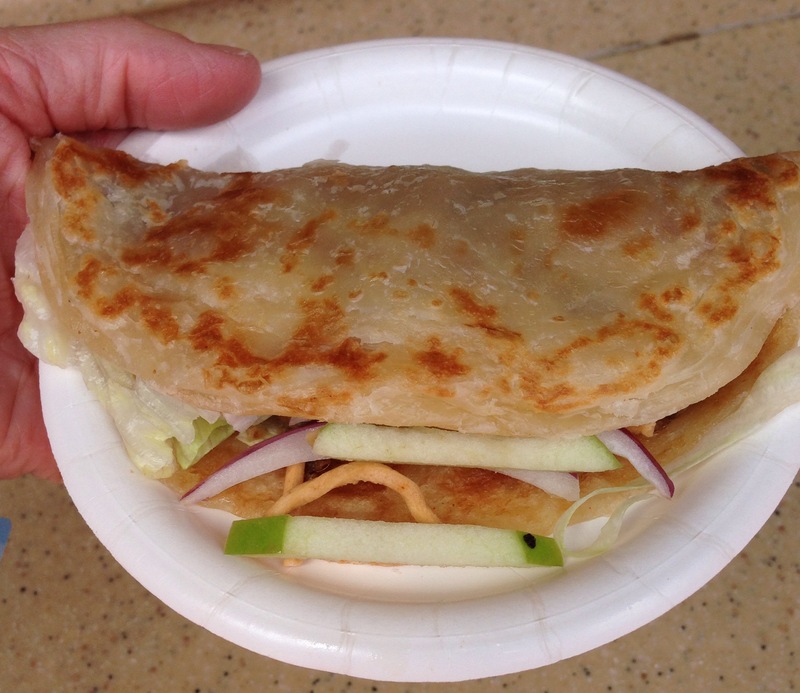 China’s Spring Pancake. Love this item! 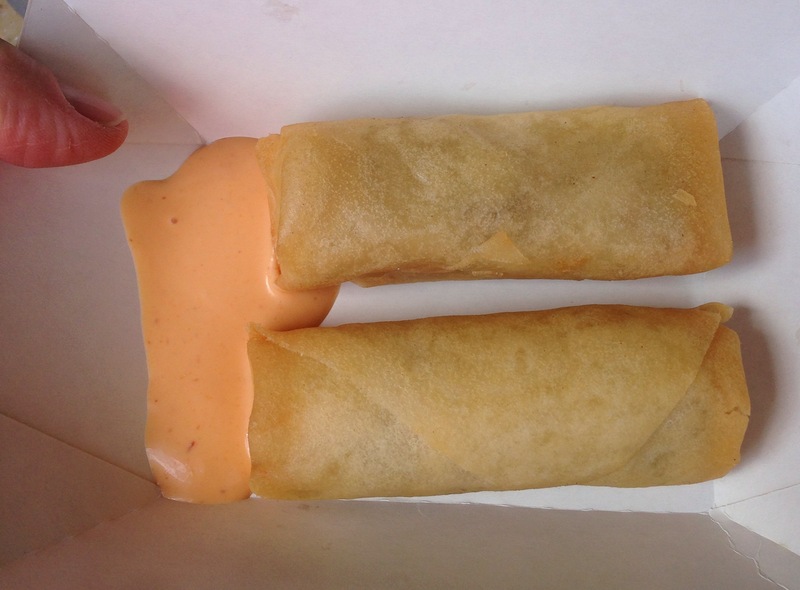 Bob: China’s Vegetable Spring Rolls look about as ordinary as I expected. I didn’t have them, so I can’t speak to the taste, but I am very impressed that they served two. Perfect for sharing! 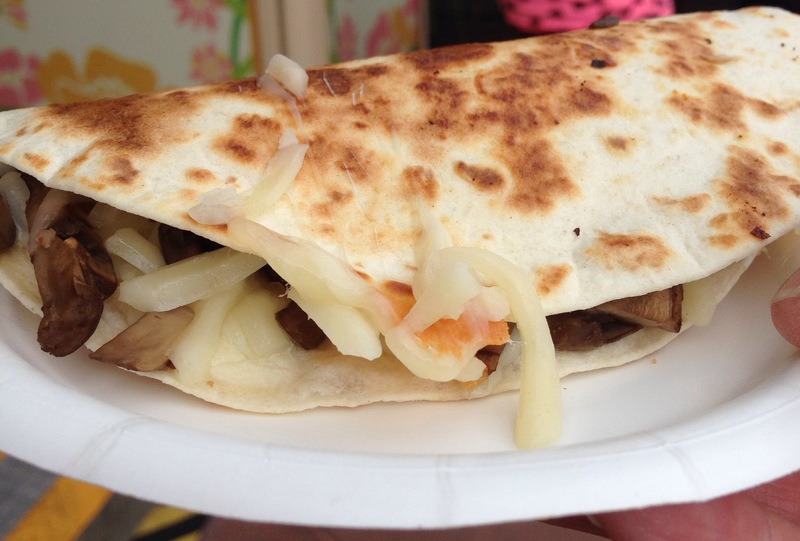 Debbie: Mexico’s Mushroom and Cheese Quesadilla. The first couple of bites were real “mushroomy” … then, it was all cheese. I liked China’s Spring Pancake better. Bob: I told you! That Spring Pancake is just outstanding, eh? 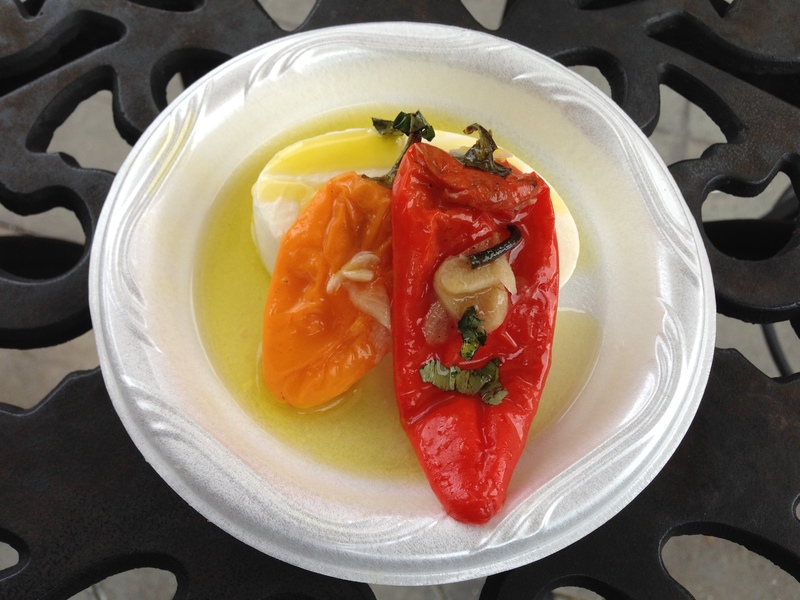 And, as for this dish … it looks appetizing, but you’re not fooling me, mushrooms! I’ll still pass. Debbie: Frushi. It was good … not great. Simply a small piece of cantaloupe and strawberry with rice. 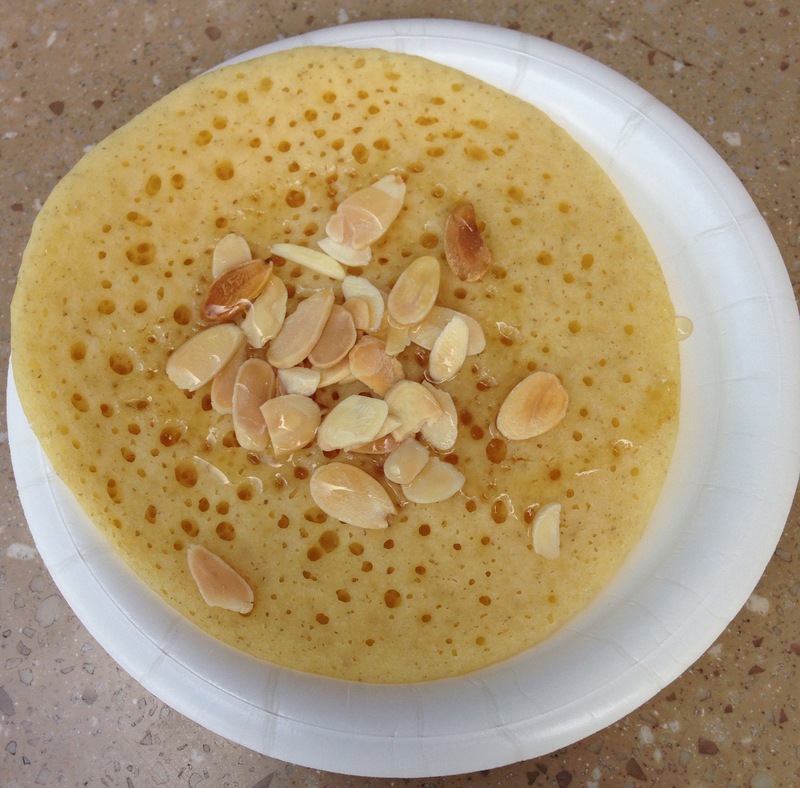 Debbie: The Moroccan Pancake was bland. I didn’t care for it. Thanks, Debbie! The pics were great! We hoped you enjoyed the food! If you’re going to “Food” & Garden, my friends, send me your pics. If we haven’t already posted that particular item, then we’ll post it and give you credit! 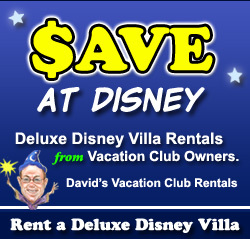 Send it to bob@allinwdw.com! 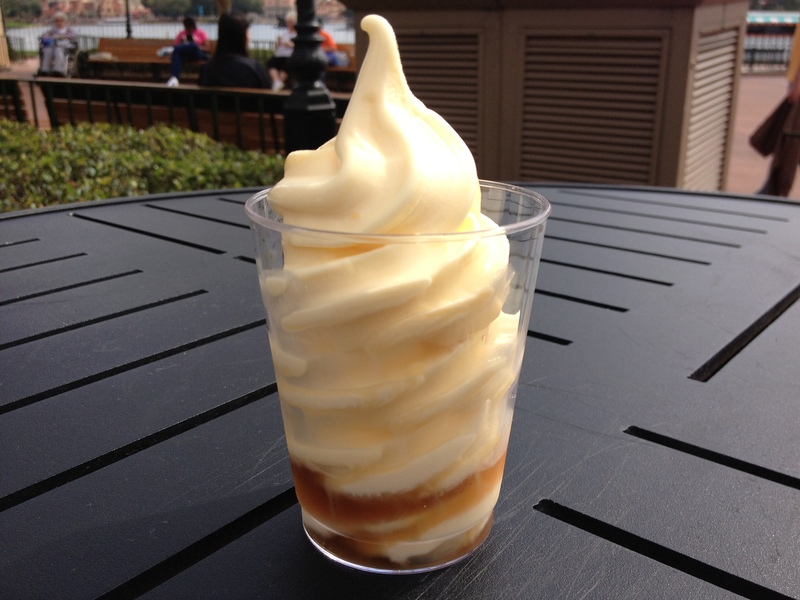 In the meantime, check out our “Food” & Garden ARCHIVE at this link – Epcot “Food” & Garden ’14 HQ! You’ll find our Flash Reports and pics, descriptions of the dishes, Top 15 lists as decided upon by myself as well as you – our readers – and much, much more! 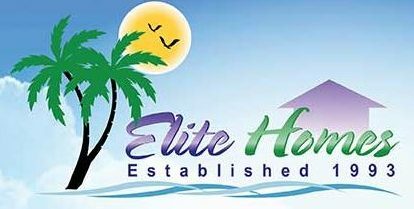 Check it all out! 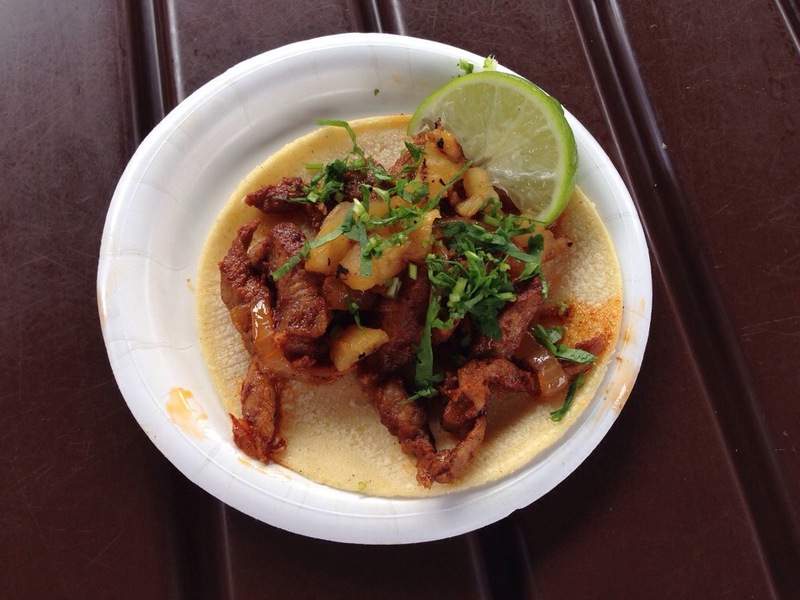 Use it to plan your trip to … “Food” & Garden ’14! 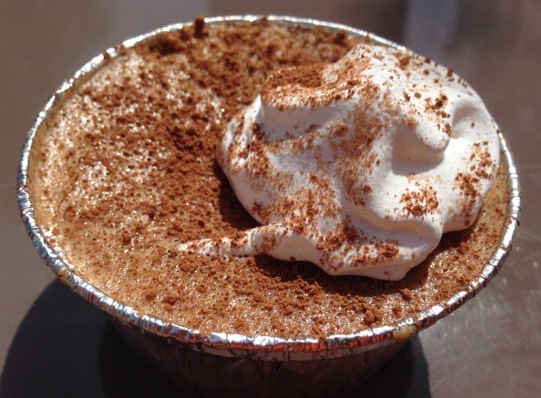 After all, the food still “flows” until May 18th! 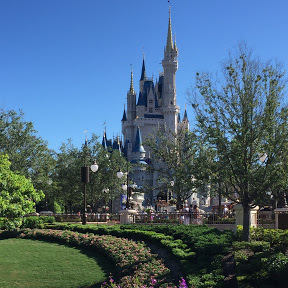 2014 All in WDW “Food” & Garden Final Top 15! Aside from my annual Food & Wine finale, this has got to be my favorite post of the year. It is just so much fun for me, this whole food festival process. In fact, it’s like a great culinary game! The agony of ranking dishes. 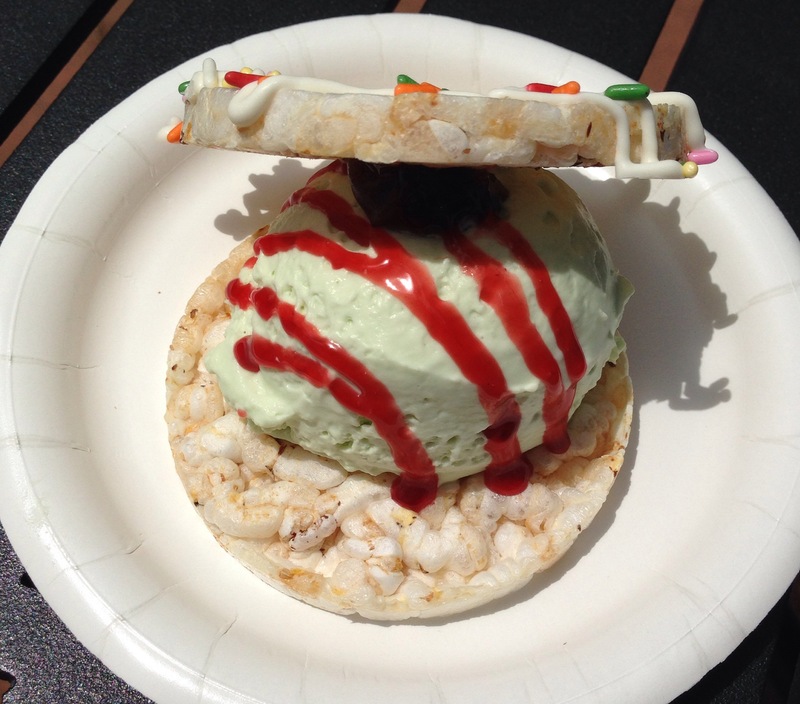 The joy of dining on Epcot’s delicacies. Then, presenting the final results to you … our friends. So, now that I’ve tasted their “wares”, how do I carve “Food” & Garden’s delights into a Final list of All in WDW’s recommendations? First, it comes down to, “Would I even want to have it again?” Then, it comes down to, “Man, I really, really want to have that again!” Finally, I decide on an item-to-item basis as to which one I would choose over the other. For this year, let’s start with the items that found their way out of our Final Top 15. France’s Pulled Duck Confit, for example. Pre-ranked before the festival at #12, its excessive richness placed it clearly in the I never want to have that again category. Mrs. All in WDW wouldn’t agree, but, for me, it’s gone, gone, gone. Likewise, the Land-grown Eggplant “Scallop” (pre-ranked at #14) and the Lamb Brewat Roll (pre-ranked at #15) both “bailed out” of our Top 15. The lamb was just too greasy for me. The eggplant was just … well, it was bad. The big loser was Italy’s Three-Cheese Manicotti. Pre-ranked at #5, I loved the concept. I hated the execution. So. That brings us to the Final Top 15. From bottom to top, here we go! Pre-rankings are in parenthesis. I guess my idea of sushi is a nice tuna sashimi or salmon nigiri. I love a good sushi roll. 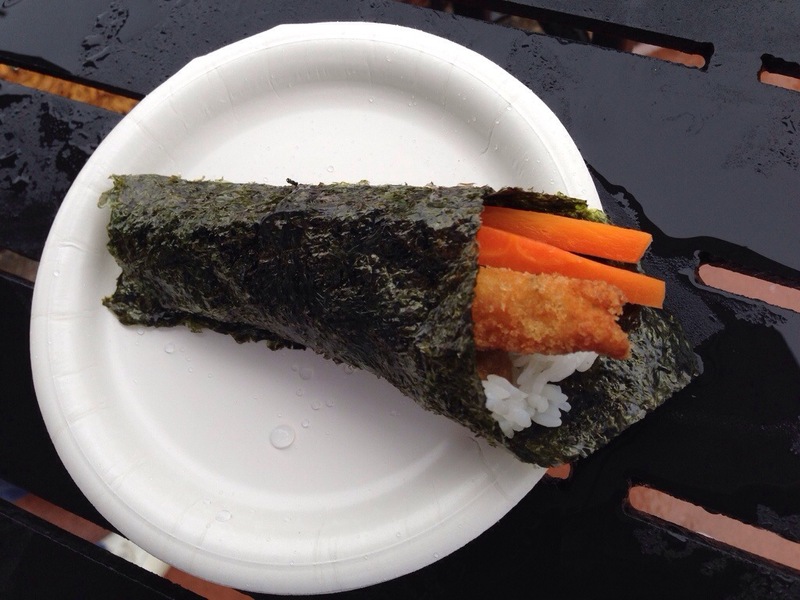 A hand roll is just a bit too much Nori for my taste, I guess. I just was disappointed. 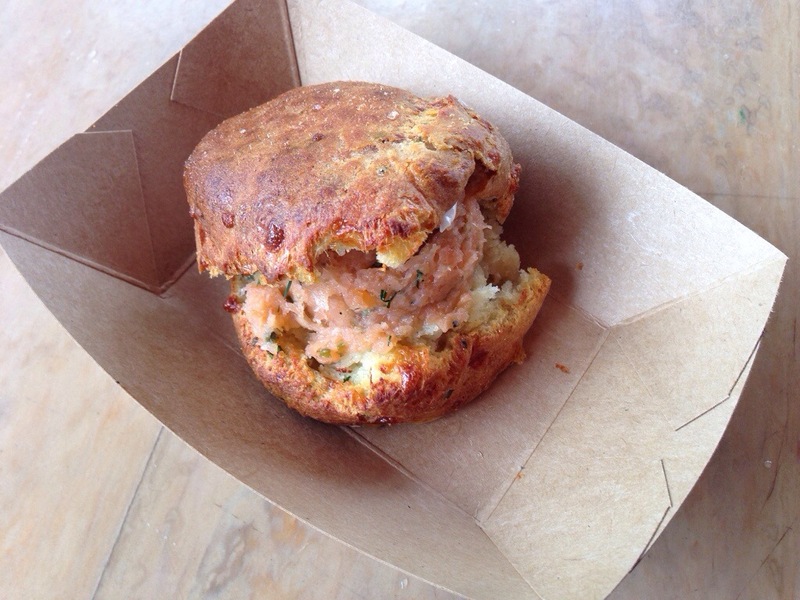 Maybe it was the first-day “blues”, but my biscuit was overdone. The smoked salmon wasn’t as enjoyable as last year. Only the mushrooms kept this one on the “Just OK” list. We had this one as we wandered around World Showcase one evening with friends. It was quite tasty, which enabled it to break into the Top 15, but … well, did I mention the mushrooms? Still very refreshing. Still very good. 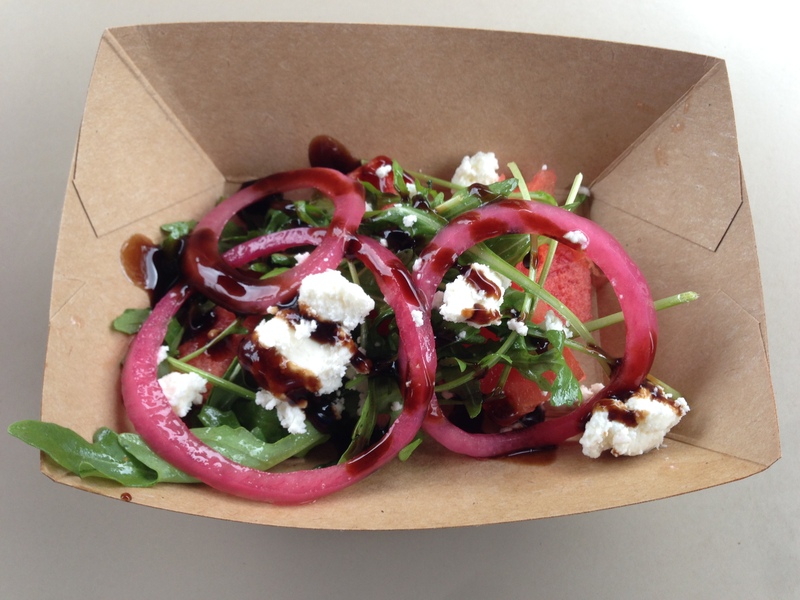 The balsamic, watermelon, feta, and onion meld into a tasty symphony of flavors. Such a simple dish. But, oh, so good. This one beats out Florida’s Watermelon Salad for only one reason. Did you see the size of that piece of mozzarella?! 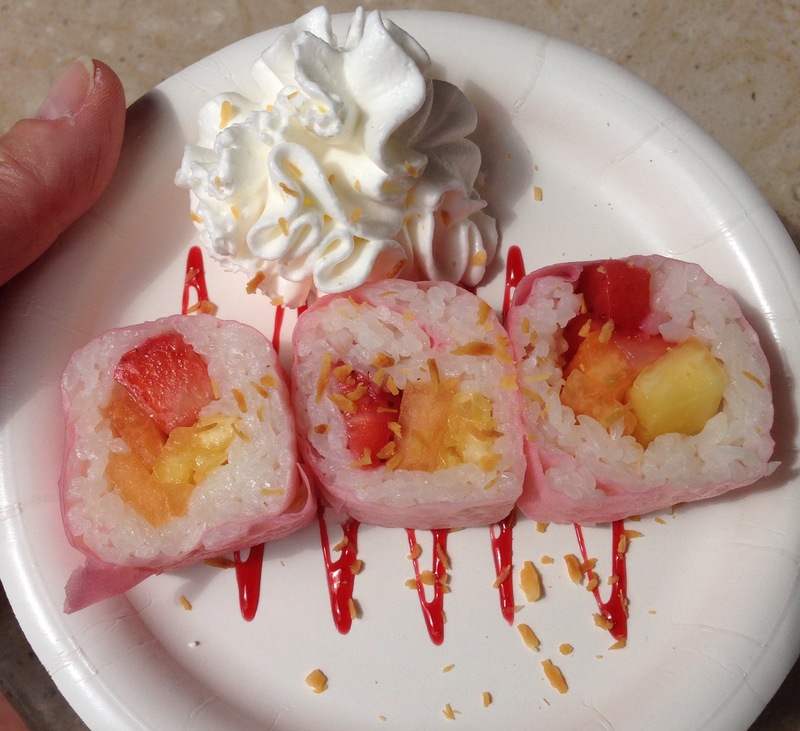 When it comes to sushi, this was pretty good. 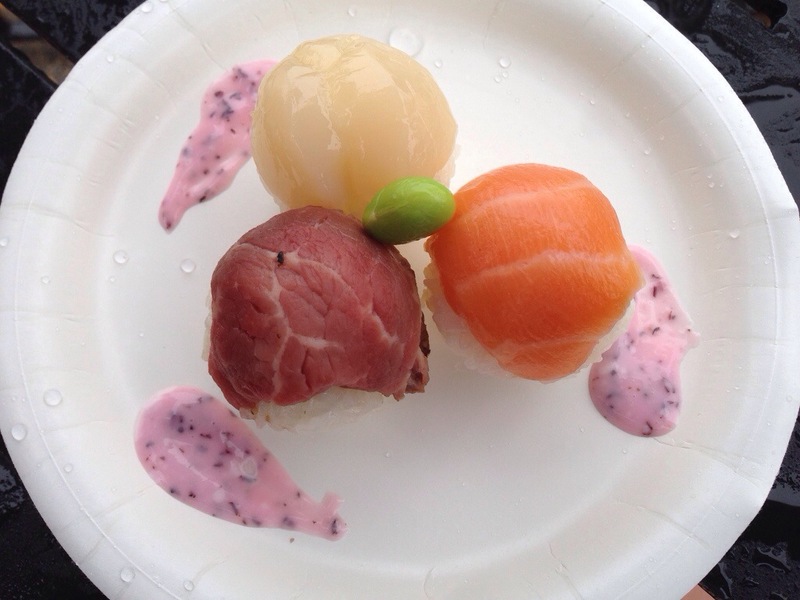 It was quite unique to see it presented as nigiri “balls”. Having said that, when I want sushi, I want sushi! Other entrees offered a bit more for the money. Tasty. 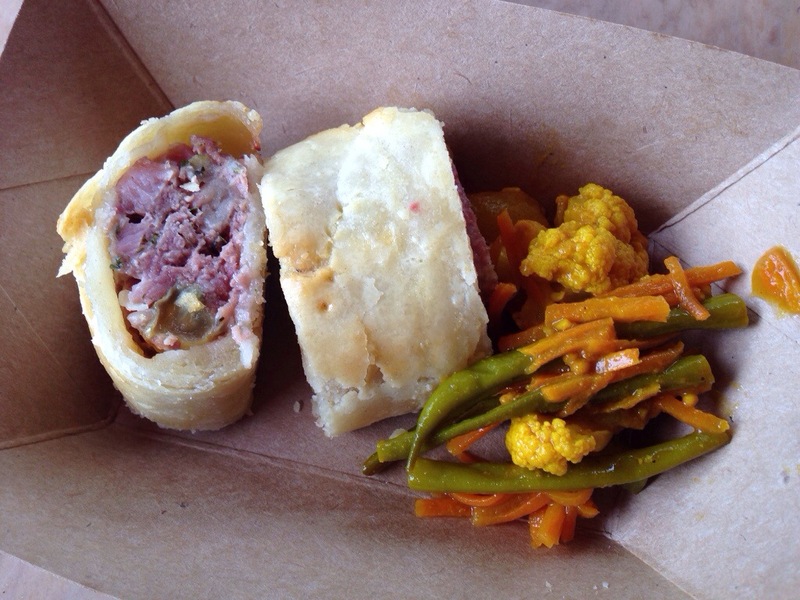 The piccalilli (relish of chopped pickled vegetables and spices) was very good. I just wish there had been more than two little pieces! A disappointment only because of the corn tortilla, the flavor of the achiote-marinated pork made this entree worth trying. 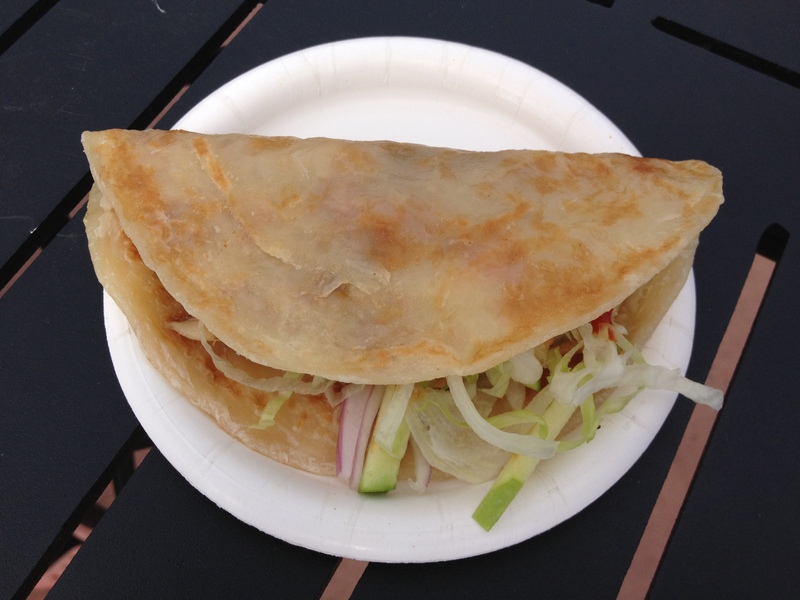 If I could replicate this on a flour tortilla, I’d be in love with the dish! A tale of two tastings. Left to our first attempt to tackle the turkey’s “rib”, this item would have been left in the discard pile. It was salty. It was paltry. One “rib”? A few days later, the salt was gone. 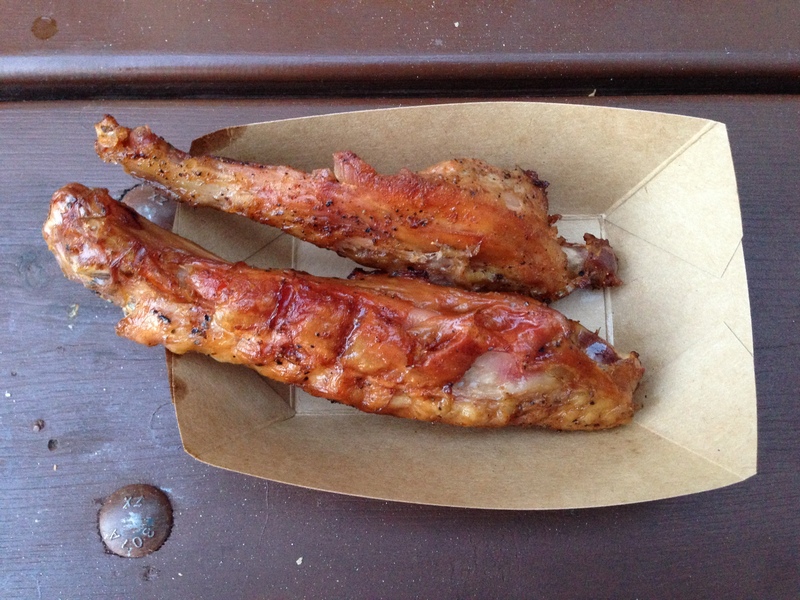 The “ribs” had doubled. The dish went on, and skyrocketed up, the “charts”. Just one more success for The Smokehouse! A very pleasant surprise. Very pleasant. I would highly recommend this kebab. The chicken was perfectly-seasoned and well-cooked. The couscous salad was excellent. It pained me to drop this delight out of the Top 4, but I just had to. Not too spicy. Just right. 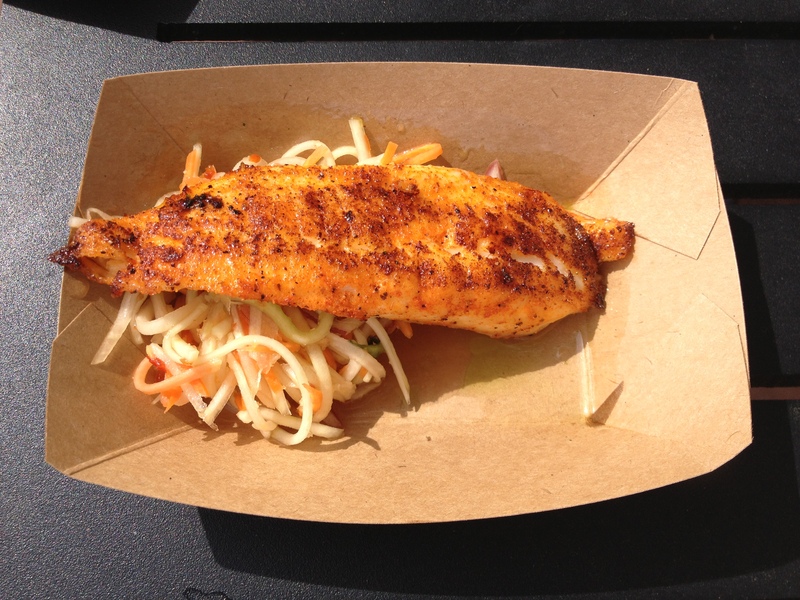 But, the portion of fish was very generous. I also loved the crisp winter melon slaw accompaniment. 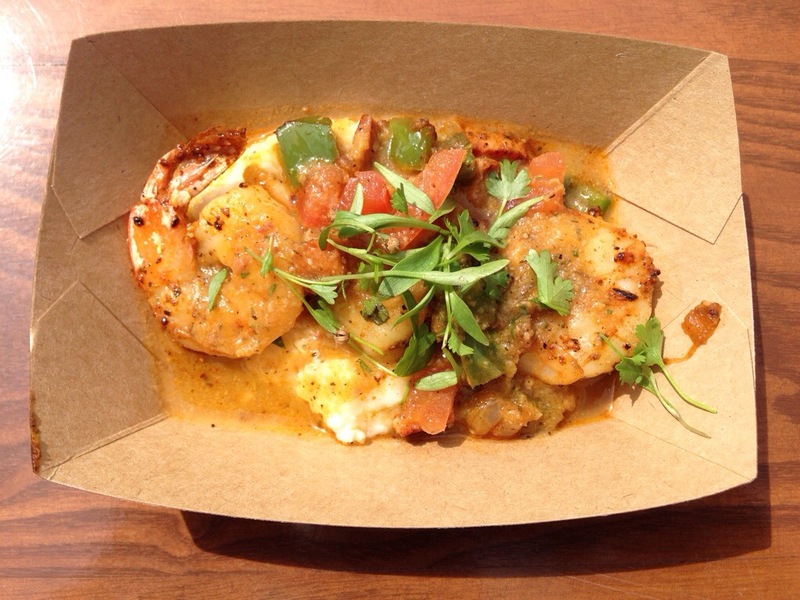 In fact, I liked it much more than the shrimps’ grits! This “pancake” that’s not a pancake is just outstanding. Chicken, plum sauce, Sriracha, green apple, onions, chow mein noodle. The dish is unique. The flavors blend into a blast of fireworks. Highly recommended. Very highly recommended. Healthy portions. Great-tasting beef. Perfect accompaniments. The cornbread had just the right amount of jalapeño bite. 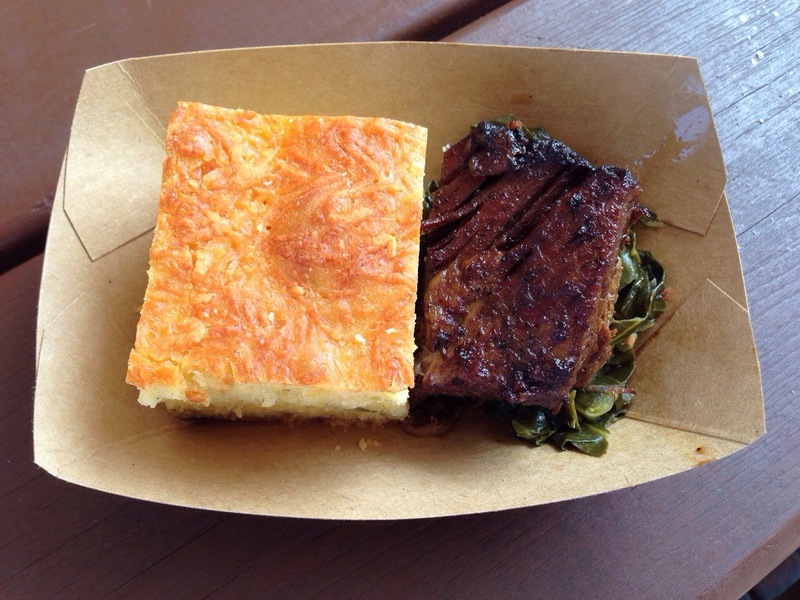 Just like 2013, The Smokehouse’s brisket was a flat-out outstanding meal. Champ! Yes, the “champ” is back! It’s the sheer flavor of the pork, my friends. It’s so hard to do justice to the taste. Combine that pork with fresh, crisp cole slaw. Layer it on a, similarly, fresh roll. It is phenomenal! The Smokehouse provides you with a variety of BBQ sauces. I have to tell you … I passed them by both times I had the slider this year. I didn’t want to mask the flavor of the pig! Yes, it is that good!